A Live Improv Comedy Show for Children of All Ages! Looking for some wholesome entertainment that gets your kids out of the house and into a theater? Don't miss "Big Kids" - a highly interactive, improv comedy show perfect for the whole family. 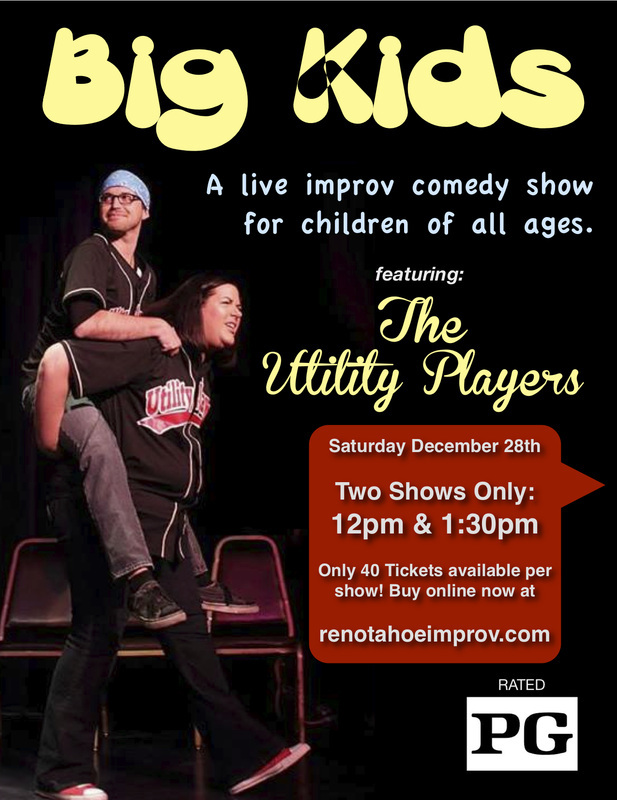 Featuring Reno-Tahoe's "Best Bet" for comedy, The Utility Players! This show is 60 minutes of professional silliness, co-created with the audience. 713 S. Virginia Street in the heart of MidTown. Only 40 Tickets available per show!